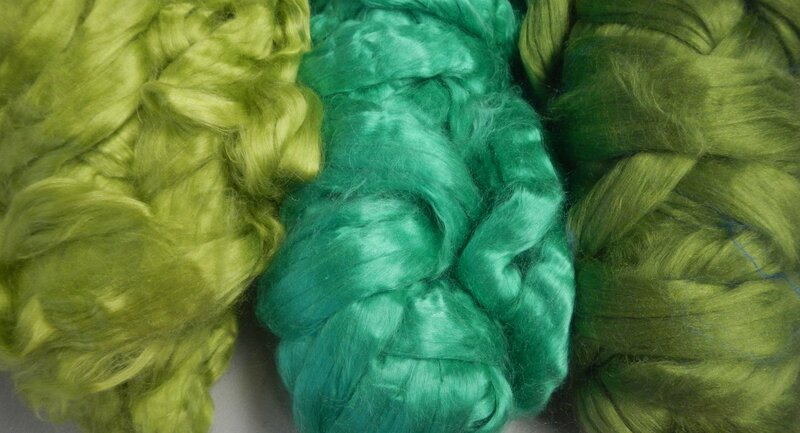 This 100% tussah silk fiber is available in 29 gloriously dyed colors. 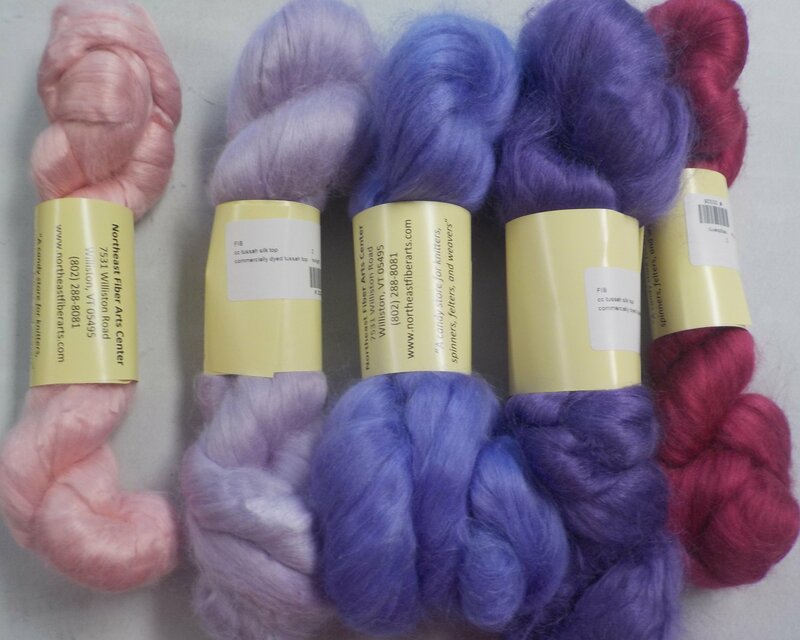 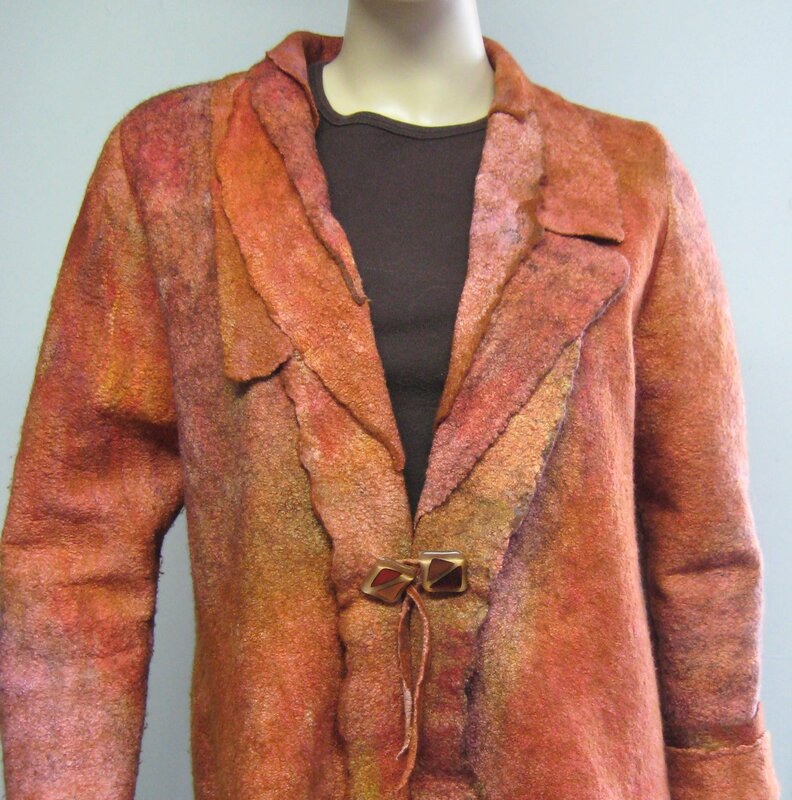 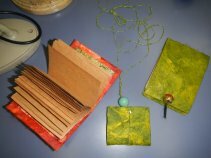 Perfect for spinning, felting and making silk paper (paper fusion, as some refer to it). 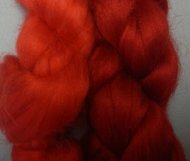 In all cases, I find a little goes a long way but adds great color, sheen and softness to your project. 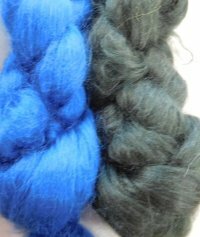 An ounce makes a nice sheet of paper; an ounce of tussah spun as a singles and then plied it to a singles of angora or wool makes for a lovely and soft yarn for a hat or cowl; and just 1 hank (2 ounces) of light tussah wisps placed on the surface of merino is enough to felt a jacket and create a lovely surface. 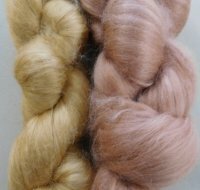 If you're looking for white or natural tussah, check out this page. 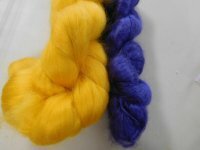 If you're looking for some of the more exotic wild silks, check out this page. 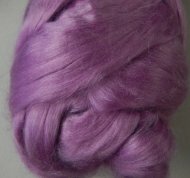 For Bombyx silk, check out this page. 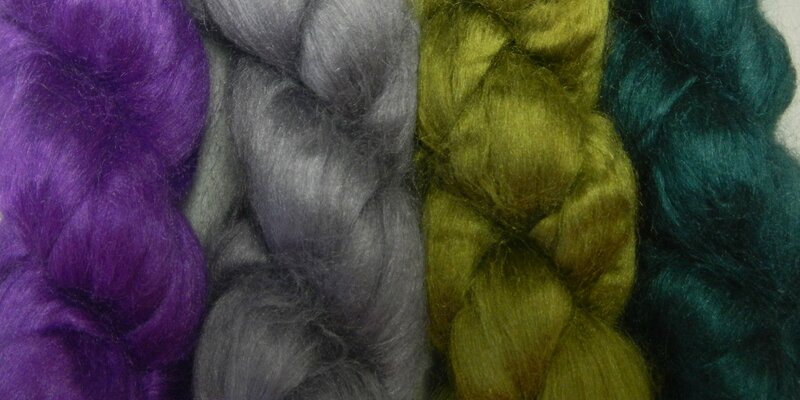 In the store, if you want just 1 ounce each of 5 different colors, we will split hanks for you.